"In 2011 our Polish partners were cheated, when one thing was promised, but the opposite was done. I would not describe it as a grudge, but these moments are remembered," Prime Minister Saulius Skvernelis said upon returning from a visit to Poland where he met with the country's politicians and, among other things, discussed the still hotly debated question of name writing in Lithuanian documents. 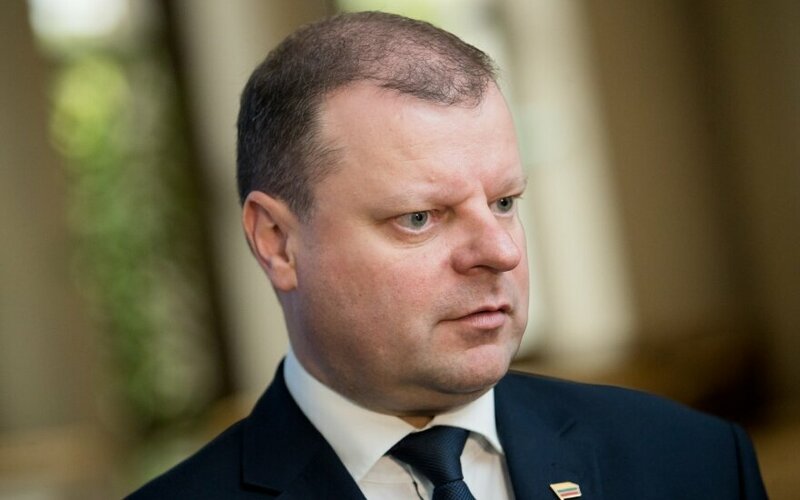 The three hour long meeting with Jaroslaw Kaczynski and other bilateral relations details were discussed on the LRT Dėmesio Centre talk show with Prime Minister Saulius Skvernelis. J. Kazcynski is seen as one of the most influential politicians in Poland, with his leadership of the country's ruling party, despite not holding any significant seat in government itself. S. Skvernelis explains that the lengthy discussion was organised as any other bilateral meeting, with no secrecy, just it was unclear until the last moment if the meeting will happen. The PM emphasised that it was a private discussion in an informal environment and that with many common topics between the two politicians, time was of little significance. S. Skvernelis was positive about the meeting, stating that "No, I received no complaints. There were no complains in the meeting with the prime minister. This is a new stage in communication between equal partners. We have problems to solve, but this has to be done through specific actions and not just declarations. For example the question of Orlen, the Lietuvos Geležinkeliai tariff for Orlen, investment questions and such. That company was once the major investor and it is after all a political investment. We need to talk about prospects." The prime minister nevertheless noted that there was no talk of the Poles selling Mažeikių Nafta, which is currently owned by the Polish Orlen. According to Skvernelis, there were talks about intentions to modernise the Mažeikiai plant, invest in it. The politician stressed that it is in Lithuania's interest that this goes through, with the plant working at full capacity and being one of the largest tax payers in the country. While the taxes are mostly obtained through excises, Skvernelis points out that the plant provides jobs and furthermore the rail infrastructure that services the plant also benefits from the operations. He stated that all the questions regarding the situation are mostly resolved, with procedures all underway and if a resolution had not been found, Lithuania could have had to cover some significant losses. Skvernelis also touched upon education issues faced by Lithuanian minorities in Poland. He stated that Poland is undergoing education reform and that the pertinent issues will be resolved "Without emotion, exaggerations or myths which often have to be denied." Regarding the talks with J. Kazcynski, S. Skvernelis noted that the discussion was broad ranging, touching upon issues beyond just bilateral matters. According to the Lithuanian prime minister, there were talks about the currently tense relations between the European Commission and Poland, Polish court reform, matters of mutual history and sports. "This is discussions with a person who feels very warm feelings for our country," Skvernelis said. The writing of names in Lithuanian documents is a long discussed question, with S. Skvernelis being a proponent of a liberal project in Seimas which is to resolve this, while there are two other competing solutions. The prime minister states that it is a decision that will have to be made by Seimas and that we must discuss a very simple, civilised practice which would not be linked to nationality. "These are our country's citizens, be they Poles, Germans or from mixed marriages, these are people who are currently experiencing discomfort, they cannot write their names in the original language. I certainly do not believe that three letters from the Latin alphabet would harm our identity, nationality or the Lithuanian language. It would, however, help resolve questions relevant to a great many people," Skvernelis said, noting that it is hard to currently predict the final outcome. He hearkens back to 2011, noting that the Poles were cheated, received specific promises, but the opposite was done. While the prime minister is unwilling to describe it as a grudge, but does point out that such moments are remembered and not necessarily just because the question is not resolved, but because a promise was made and not fulfilled. The history of projects related to name writing in official documents has been marred with attempts which failed to receive support from one or another branch of government. 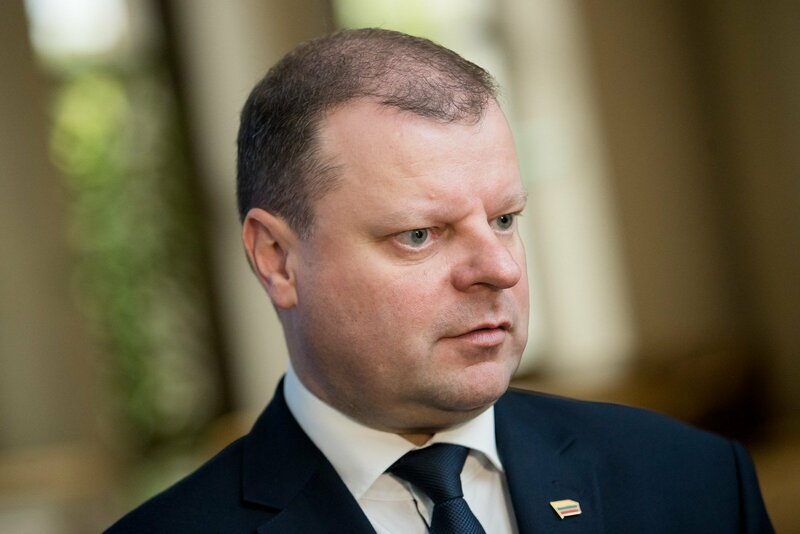 When inquired whether his stance does not clash with that of President Dalia Grybauskaitė's, Skvernelis denies this, stating there is no basis to state so and that the cabinet is working toward the benefit of country, its interests, the people's welfare and the protection of their interests, all within the bounds of law and Constitution. Regarding the previous attempts to legislate name writing, he points out that the attempts failed to account for moods in Seimas, whether there will be support in the vote or not, beyond just rhetorical statements. "Talking of today's decisions that will need to be made, it will be necessary to weigh the balance of power well. If necessary, there can be a compromise solution, compromise is crucial in politics. We must move forward regarding this question," he said. When inquired about the influence of the Polish Electoral Action in Lithuania, S. Skvernelis pointed out that problems are easily exaggerated and hyperbolised when there is a lack of communication and that the meeting in Warsaw was very different to the first one in Tallinn, during which a number of myths had to be dispelled. Among the myths that had spread, Skvernelis points to an example of supposed restrictions of using the Polish language in informal environments. The politician emphasised that during meetings it is possible to accurately convey the situation and build relations based on respect, equality and trust, instead of relying on someone's transfer of information. S. Skvernelis emphasised that cooperation and cooperation at all levels of government needs to be developed and the more so it is done, the fewer concerns and fears there will be on either side.